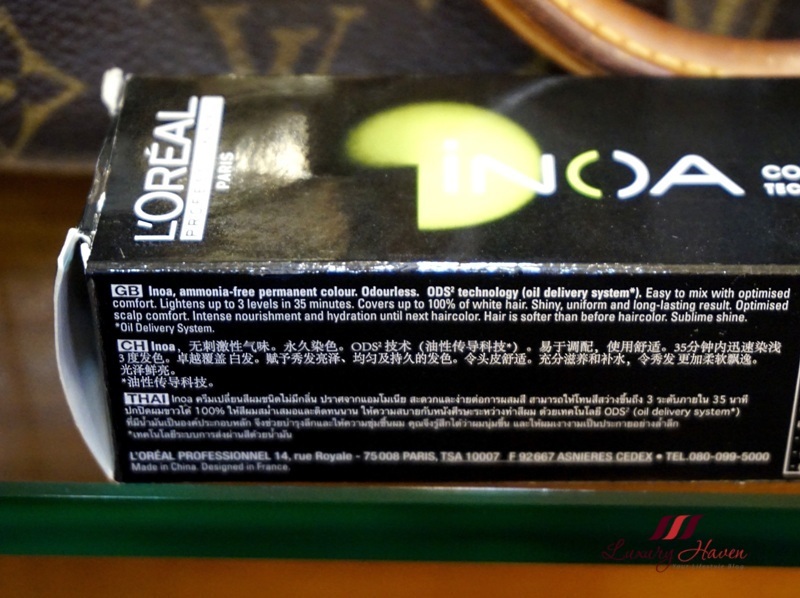 You are here:Home » Product Reviews » Loreal Organic Hair Colours, Try INOA With No Ammonia! 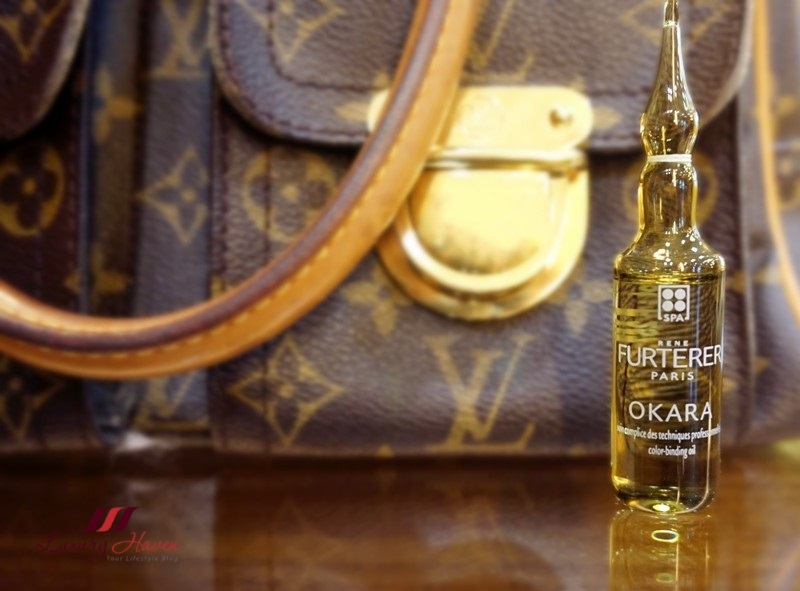 To protect my scalp and hair, Rene Furterer Okara Colour-Binding Oil was first applied on my scalp and hair. 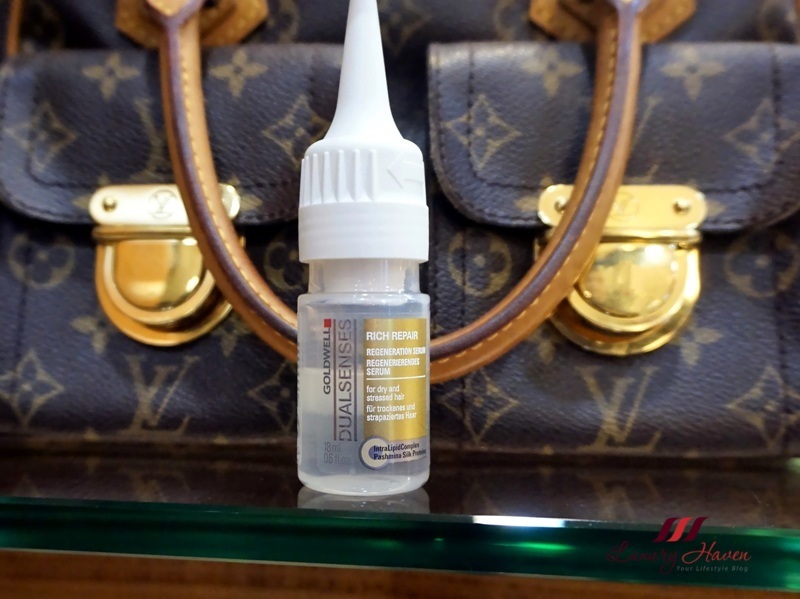 The ampoule effectively locks up moisture and recovers softness and radiance to hair. 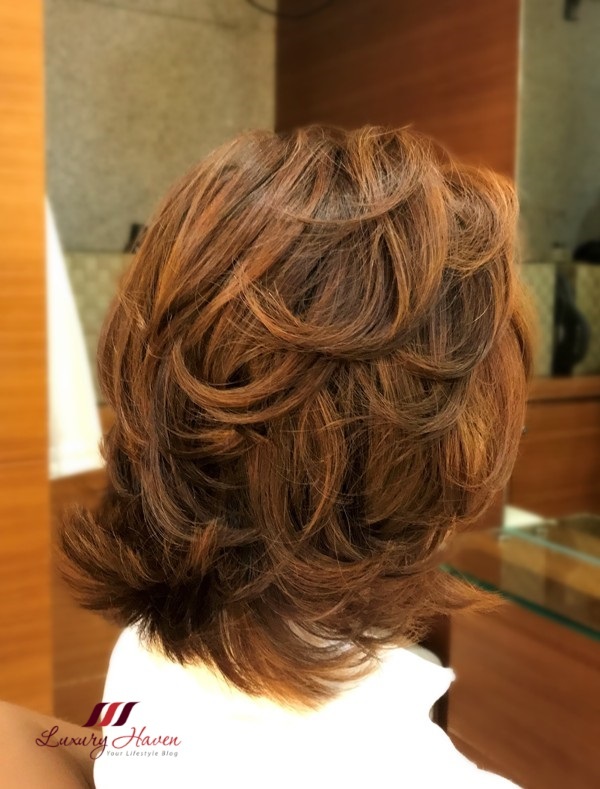 INOA ammonia-free hair colour is enriched with oil, hence hair is left feeling conditioned with sublime colour radiance. The dye will leave your hair as soft as before colouring and will cause no damage. Best part, it is also odour-free! Only thing to note is that you will probably need an extra 30 minutes in the salon for the colour to kick in since there is no chemical. Also, it will cost slightly more but it will give you a peace of mind knowing that your hair and scalp is not steeped in ammonia. 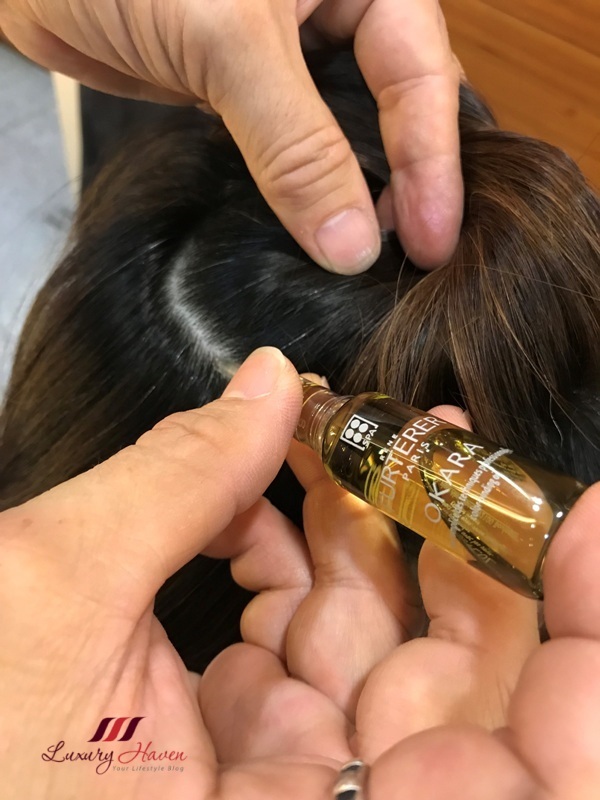 It is highly recommended to add an after-colour hair serum like the leave-in Goldwell Dualsenses Rich Repair Regeneration Serum to give the hair a silky soft feel and a brilliant shine. 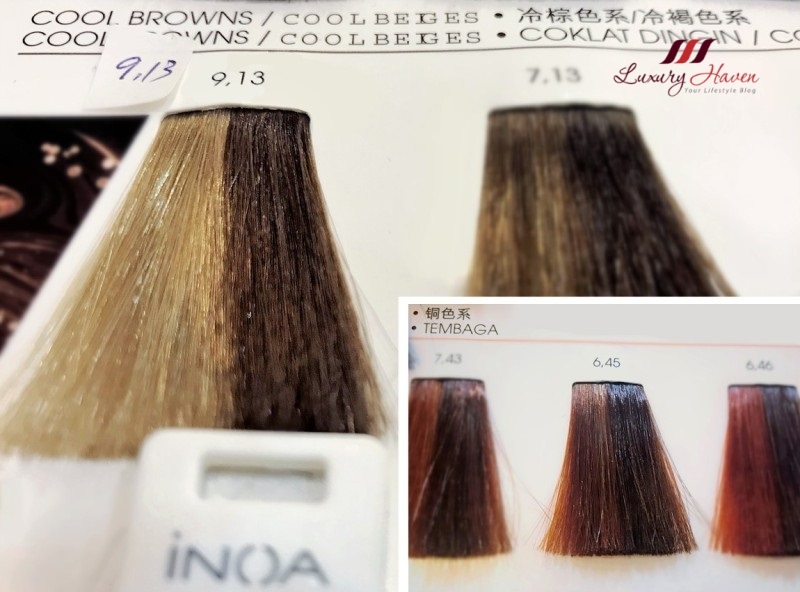 So, what do you think of my ammonia-free hair colours? 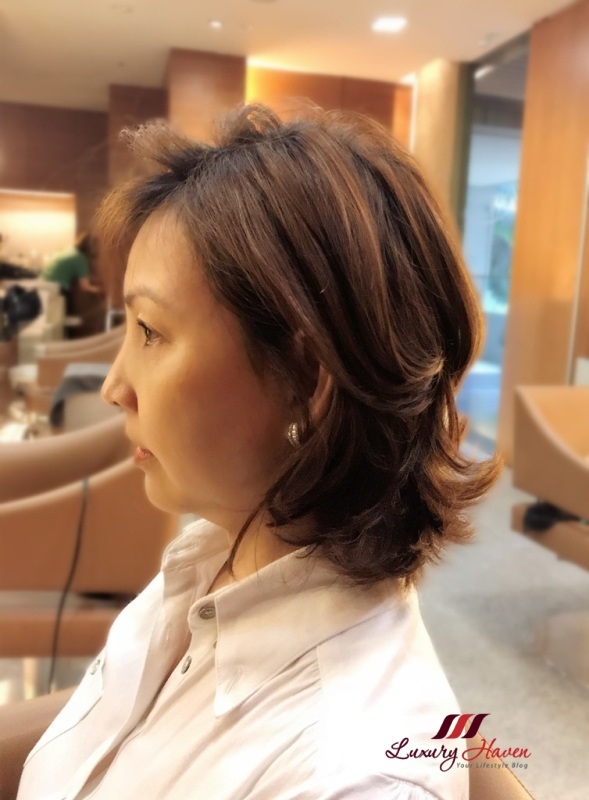 Call +65 6735-5443 for an appointment with Daniel now, and head down to Mosche Grand Hyatt for a colour consultation to achieve your perfect shade that is free from ammonia! Be sure to check out their Organic Hair Care: CAPILO Capillary Intensive Treatments too! Sounds good! I DIY my own hair with other brands and they do not last long, colour fades out fast and I have to do it again once every two months or less. I hate the smell of strong ammonia after dyeing my hair. Thats why it has been a while since I did. Cannot stand the duration and the ingredients. Haha. Lovely colour, Shirley. I like it. 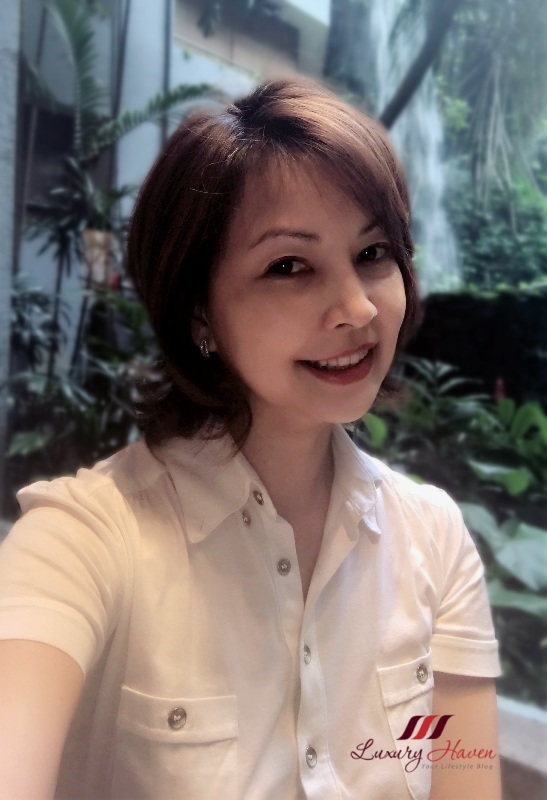 You look gorgeous in this hairstyle:-) Inoa effect sounds promising. Your hair looks great, Shirley! Your hair look wonderful! Great product! These organic colours would be kinder to human hair! Wow, sounds great,I love your hair! I'm always looking for less or no chemicals. Great find Shirley. Your hair looks spectacular! Nice products, too! Lovely colour, Shirley. Your hair looks gorgeous! Love your hair, Shirley! I currently use henna on my hair. Your hair sure looks great, Shirley! Woww your air looks awesome. I have to try this product. I've seen these on the web, look good! I have been using only LOREAL brands for our hair. Trusted brand. Ammonia-free option is like a boon for those who like to color their hair frequently. Thanks for sharing.